Want extra room for your games, save files and capture gallery, but don’t want a console that’ll make your retinas bleed and looks like it runs off of MTN DEW? Well, you’re in luck, because I’m here to show you to upgrade your storage on your already-beautiful PS4 without voiding your warranty. The first step is making sure the hard drive you want is compatible with your console. Fortunately, the hard drive in the PS4 is a fairly standard off-the-shelf part. 2.5 inch hard drives are the common size used in most laptops, but the caveat here is that you need to make sure the one you choose is no more than 9.5 millimeters tall. Fortunately Newegg’s search tool lets you specify a maximum height, so finding a drive for your PS4 is fairly easy. Most PS4s come with a 5400 RPM drive installed, so if you’re willing to splurge you can get a boost—albeit a minimal one—by installing a faster drive, too. Once you’ve got the right drive for you in hand, it’s time to do the heavy lifting, but as any seasoned IT professional will tell you, before you attempt anything, back up your data. If you don’t, you’ll need to reinstall your games and DLC. If you do choose to backup your games, be mindful that the PS4 is fairly slow at doing this and it can kill a few hours of your day. Whichever way you choose to go, you’ll want to follow Sony’s guide. With your data backed up and your tools in hand, its time to do some minor console surgery. The first thing you’ll want to do (after turning your PS4 off and disconnecting it from any cables it’s hooked up to, of course) is to slide the faceplate off to the left. When it’s off, you’ll see the hard drive chassis and a few screws. Breathe easy, nothing’s broken. See that big screw in the lower left? That’s the only one you need to remove to get your hard drive out. Just unscrew that bad boy and pull on the lip you can see sticking out from the hard drive chassis. You shouldn’t have to apply too much pressure to get the hard drive out. Once you’ve got the drive out, you’ll see two screws securing it to the metal chassis on either side. Remove these with your screwdriver, lay your drive in the chassis and replace the screws to fasten the new drive in place. Once you’re done with that, slide the drive into the PS4, replace that big screw and put your faceplate back on, the hard part is over! With the scary part out of the way, you can get about the business of reinstalling your operating system. You’ll need to download the latest PS4 firmware, which Sony helpfully keeps here. You’ll need to drop the download file into a folder named UPDATE, which itself needs to be in a folder called PS4 (yes, the caps are required) on your USB drive. Once you’ve got your USB drive set up, hook your PS4 back up, plug the drive into any of the USB ports and hold the power button down for seven seconds. It’ll step you through installing the PS4’s operating system on your fancy new drive. Now that you’ve got your software installed, it’s time to restore or redownload your data. 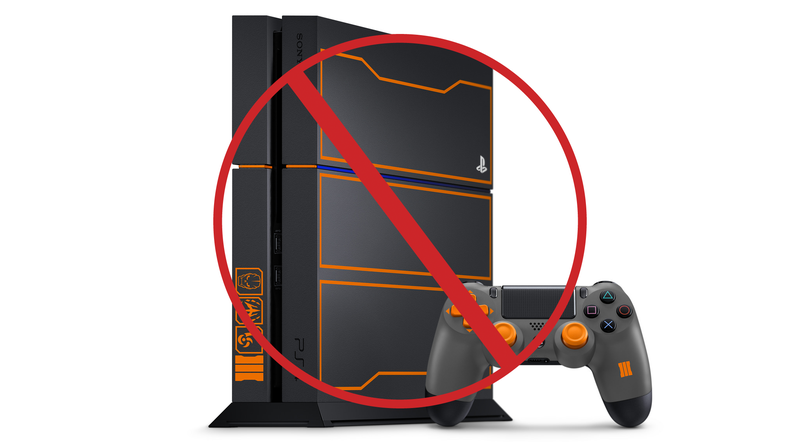 Your PS4 will take a bit to start up as it has to rebuild its database, but after that it should work without a hitch. Go into your storage management and think about how you’re going to fill up your new space on a PS4 that won’t make you cry tears of blood!